The Desk divider is a classy office solution for open spaces while providing good privacy and desk space creation. See the whole LOFTwall collection to explore the possibilities! The LOFTwall Desk divider is a modern desk - desk mounted divider for dividing space and a unique way to get the right office you need. 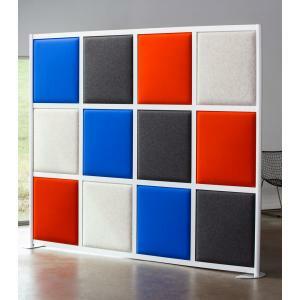 It is lightweight yet durable for commercial or home office space. It comes in all the great LOFTwall panel colors - see images. The divider offers 2 different sizes and may have a top panel and/or bottom modesty panel and mounts to your existing desk. We can help you find the right options for your space. The sturdy aluminum frame comes in a modern natural anodized finish of natural or custom colors may be available. 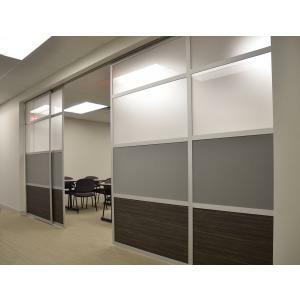 Combine with other LOFTwall space dividers to create the space dividing solution you need. It comes with easy assembly instructions.